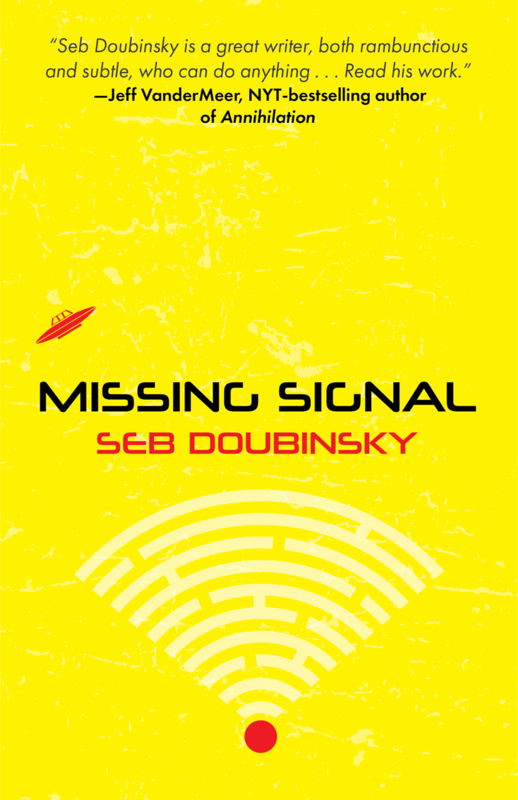 Today I am interviewing Seb Doubinsky, author of the new science fiction novel, Missing Signal. DJ: Hi Seb! Thanks for agreeing to do this interview! Seb Doubinsky: Hello and thank you for having me here on this great site! 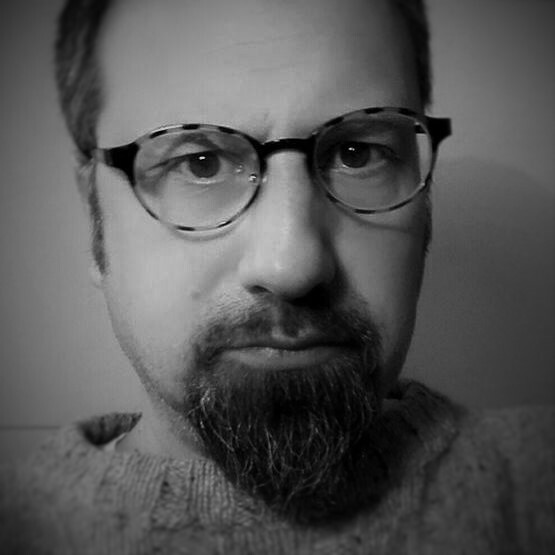 I am a French bilingual writer who lives in Denmark. I lived in the States when I was a child and English is practically my first language, and American culture (of the early 60s) my first culture. I consider myself therefore a “Eumerican” writer, with a foot on both continents and cultures. DJ: What is Missing Signal about? Seb: It is about fake news, government propaganda and a possible alien invasion, all wrapped up around a love story. DJ: What were some of your influences for Missing Signal? Seb: Actually, the biggest influence comes from 1960s and 1970s movies, like Antonioni’s “Blow Up” or “Zabriskie Point”. I love the questioning contained in these films about identity, society, sexuality. They give me a good background to work with and create a new form of storytelling esthetics. Seb: There are two main characters in the novel, Terrence and Vita. Terrence works for a government agency based on disinformation in UFOlogy and is their greatest specialist – he has numerous identities and personas. What makes him human, I think, is his loneliness and sincerity, in spite of his job as master deceptionist. Vita is, well, a mystery – and I guess that’s what makes her attractive. DJ: What is the world and setting of Missing Signal like? DJ: What was your favorite part about writing Missing Signal? Seb: The ending, probably. And the fake news aspect. I wrote it just before Trump made the expression famous – and it couldn’t have been a better timing for the novel! DJ: Did you have a particular goal when you began writing Missing Signal? Was there a particular message or meaning you are hoping to get across when readers finish it? Or is there perhaps a certain theme to the story? Seb: Well, all my books have “messages” in that I want my readers to react and be touched by the stories. The central theme is Missing Signal is trust. I think it will resonate with many people, because it is a huge issue today – in politics, at work, in relationships. That’s what I built this novel around, and hope the readers will think about. DJ: When I read, I love to collect quotes – whether it be because they’re funny, foodie, or have a personal meaning to me. 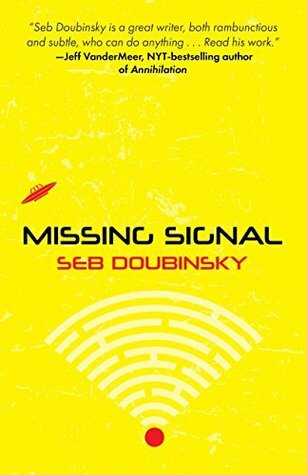 Do you have any favorite quotes from Missing Signal that you can share with us? DJ: Now that Missing Signal is released, what is next for you? Seb: I am working on a much longer novel, a noir set in the same universe in a different city called New Babylon. It’s called The Invisible and I hope to be finished with it by the fall. DJ: Before we go, what is that one thing you’d like readers to know about Missing Signal that we haven’t talked about yet? Seb: It is quite a short book, but it will be an intense experience. I wrote it thinking about those punk tracks of my youth, that only lasted two minutes but you want for more. So you had to listen to them again and again. Seb: I want to thank you for the opportunity of presenting my work, and I want my future readers to know that I am always glad to discuss my fiction, so don’t hesitate to contact me. USA. He currently lives with his family in Aarhus, Denmark, where he teaches at the university. Also, here is a link to the #GIVEAWAY: http://www.rafflecopter.com/rafl/display/7f291bd86/?